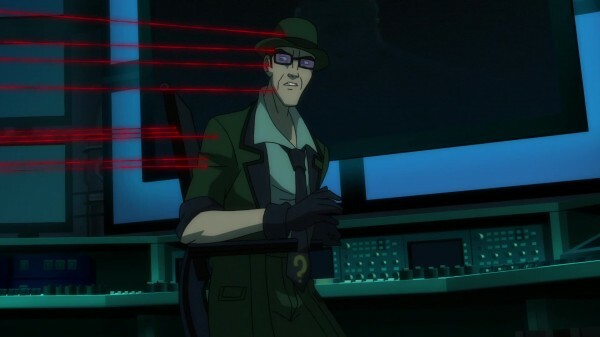 DC Animated has hit some sort of weird divergence where the films are either really good or really bad. Batman: Assault on Arkham fits in the really good category, even though it reduces Amanda Waller’s character to too simplistic of a bully villain. 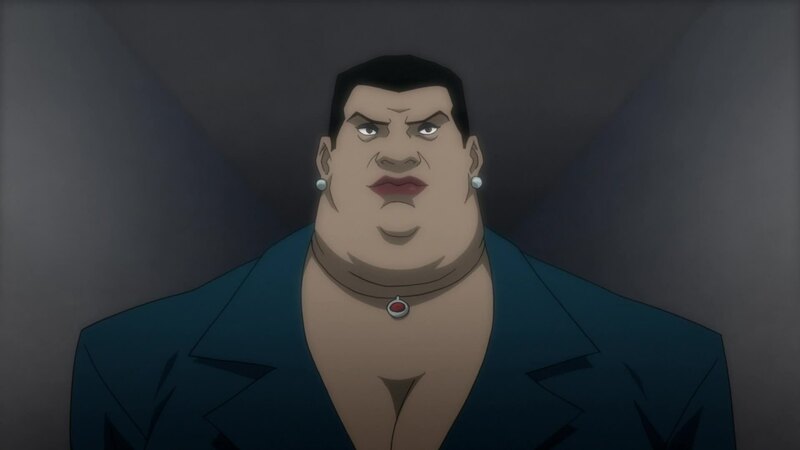 That’s a shame, as Waller is one of the greatest comic book characters, a high-ranking official who runs her own show outside of the normal good and evil duology, and is capable of standing up to the greatest heroes and villains. 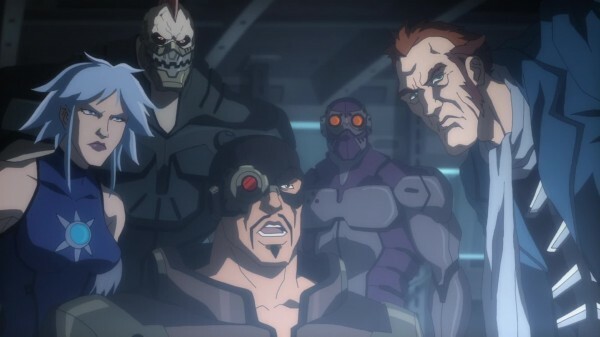 Assault on Arkham becomes unlike a lot of the animated super hero fare because it features a team of scummy villains, who have no qualms about killing people and spend half the film trying to betray Waller and each other. 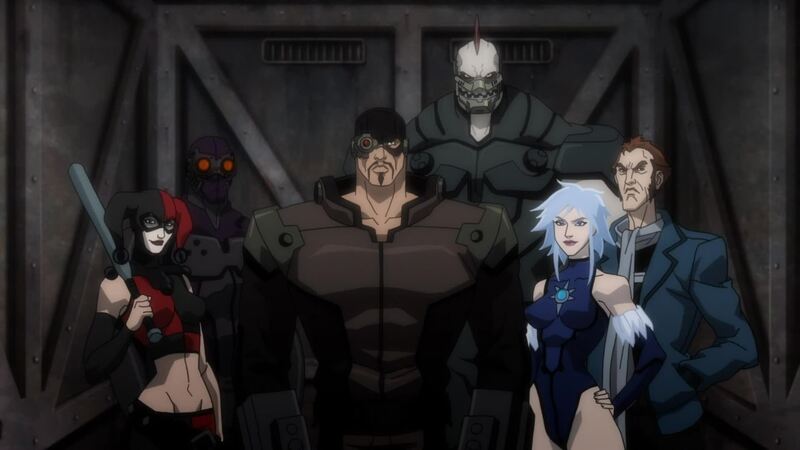 the Suicide Squad is a group of criminals with heavy sentences who are sent on dangerous missions in return for time being shaved off their terms. 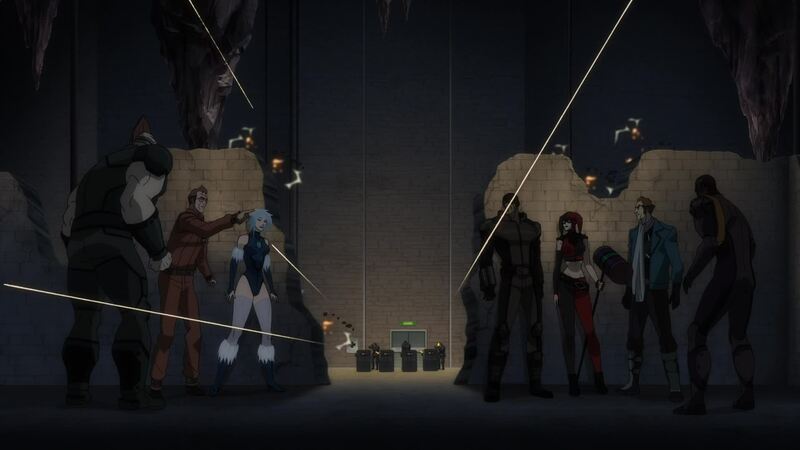 As the teams are largely made up of sociopaths, they don’t get along and have trouble working in teams. The fighting and backstabbing just adds to the fun of watching the villains work as they push towards their goal. 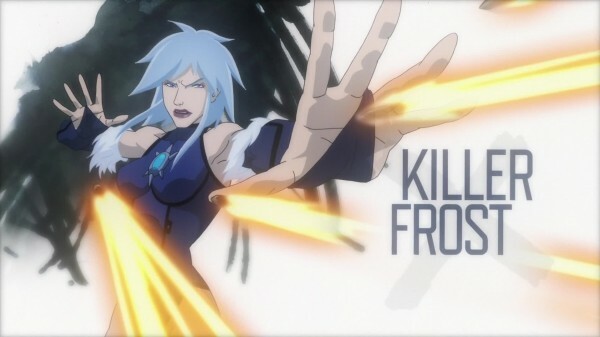 Waller uses the team to take down threats that can’t be dealt with by normal means and need to be off the books, often ignoring what may be bigger problems to achieve her own goals. This is as much a Batman film as a Suicide Squad film, so Batman runs around looking for a dirty bomb the Joker has to try to stop it from exploding. 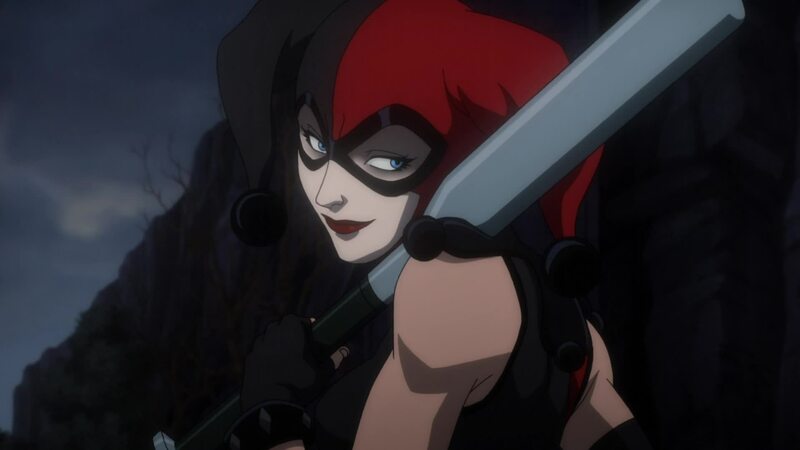 That means he crosses paths with the Squad more than once, especially since Harely Quinn is part of the team, despite her insistence that she and the Joker aren’t together any more. 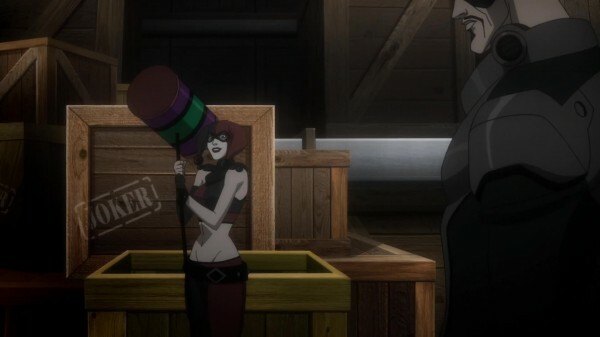 As the Squad has to break into Arkham to retrieve a flash disk and the Joker is interred in Arkham, he does end up becoming part of the story, especially when things begin to go haywire. The Suicide Squad consists of Deadshot (who is concerned only with getting out so he can spend time with his young daughter), throwing expert Captain Boomerang, Harley Quinn, ninja Black Spider, ice queen Killer Frost, Killer Croc ripoff King Shark, and guy not to get too attached to KGBeast. 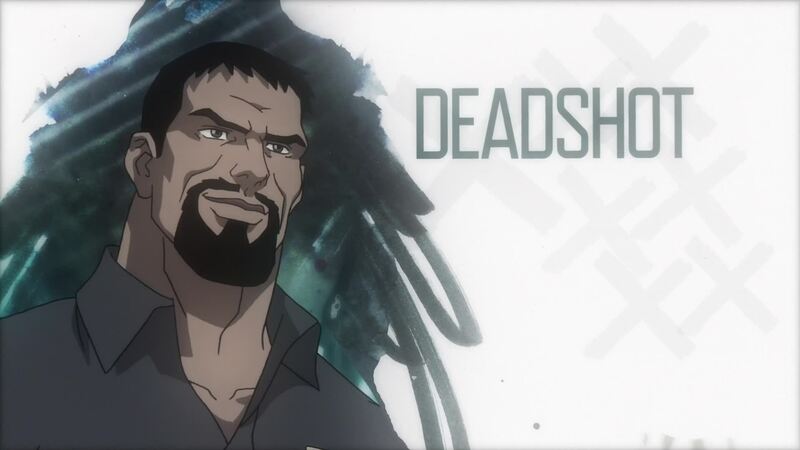 Deadshot serves as the alternate main character, who keeps the team focused on the mission despite their various distractions like ex-boyfriends and marksmen rivalries. 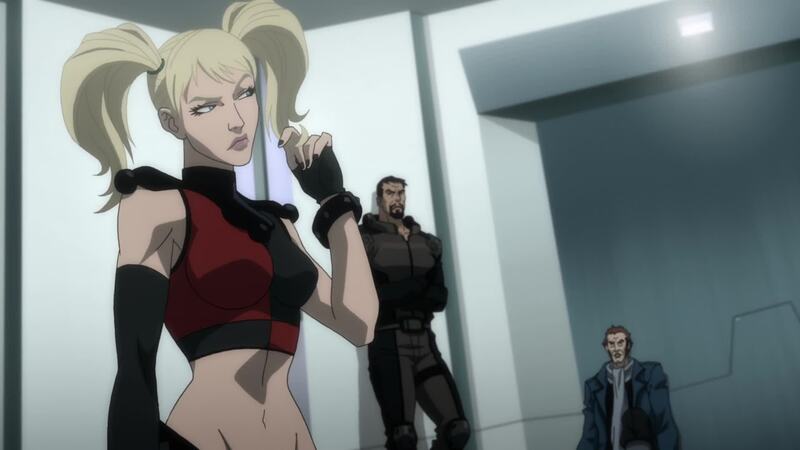 The Deadshot presented here is just professional enough to make a compelling main character. 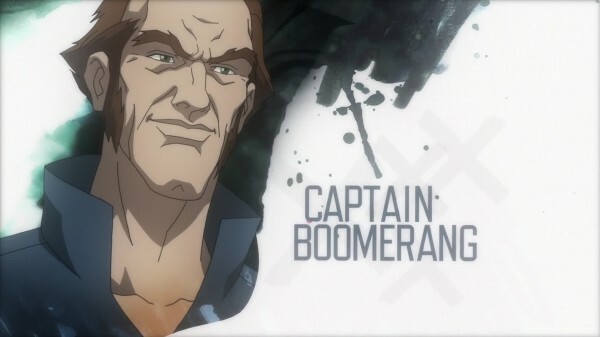 Captain Boomerang serves as his less moral counter and constant thorn in his side as Boomerang’s competitive and antisocial streak causes him to see Deadshot as an enemy. 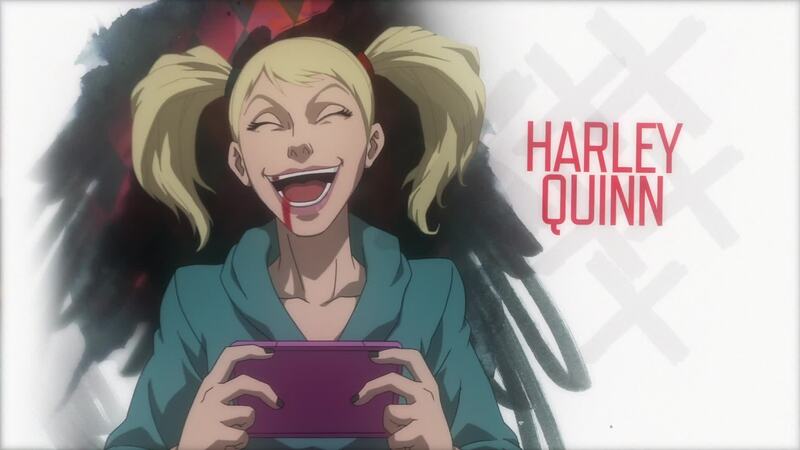 Despite the awful Harley Quinn reboot after the New 52, the Harley Quinn presented here is rather well done, a spiritual successor to the cartoon series, with her complicated relationship with the Joker seemingly over, but him still having a hold over her. Quinn is the victim of mental and physical abuse, suffers from her own psychosis and rage disorders, but still has her own choices in life. 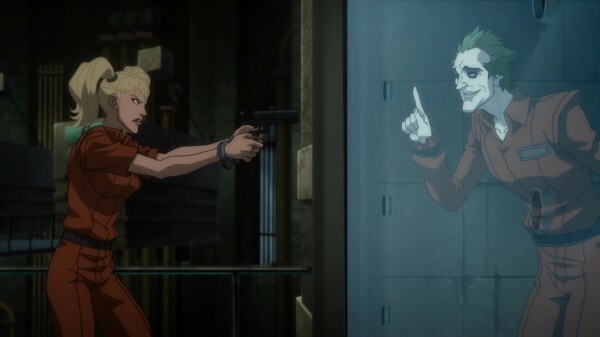 She’s perfectly willing to kill the Joker if she can, but also falls back into the pattern of becoming his obsessive lapdog. the film is set in the same continuity as the Batman: Arkham Asylum video game series, which means it’s free to kill off characters without upsetting the vaguely connected DC animated features continuity, which decides on a movie-by-movie basis just how much they’re going to take from prior films. 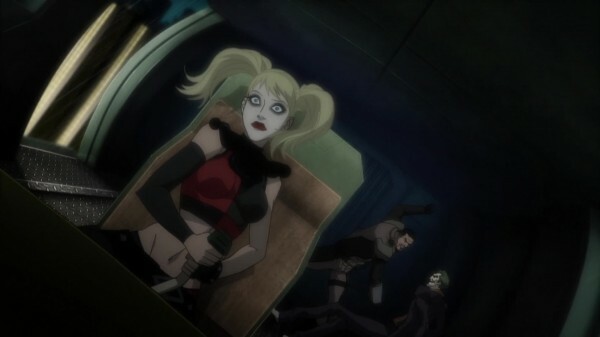 And it does play fast and loose with the lives of a few of the Suicide Squad members, so don’t get too attached to anyone. 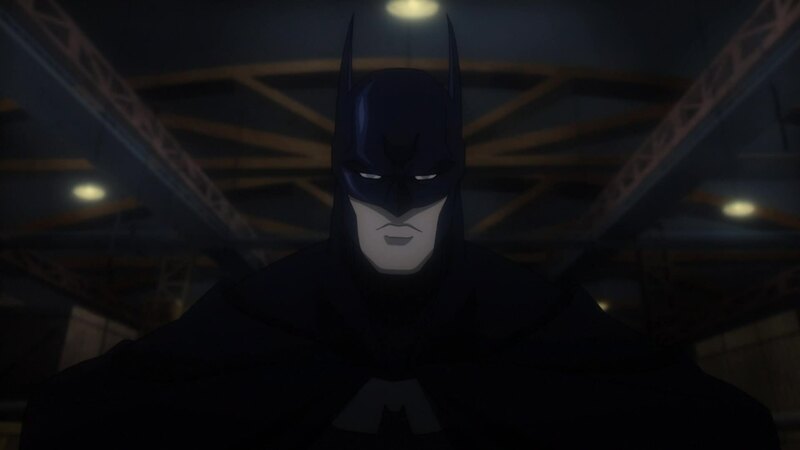 The voice cast is a mix of returning cast members, most importantly definitive cartoon Batman Kevin Conroy is once again Batman, as he also voices in the video game series. 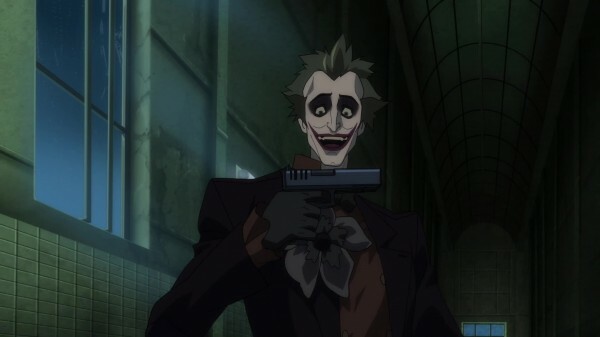 Troy Baker voices the Joker, who basically does the Mark Hamill Joker voice (Hamill has retired from the role) as he does in the video game series now, and C.C.H. Pounder and Nolan North also voice Amanda Waller and The Penguin in the games. 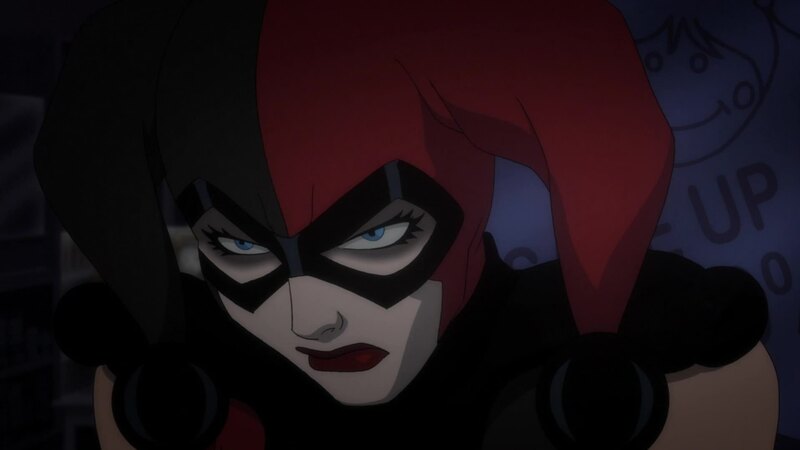 Hynden Walch previously played Harley Quinn in The Batman, while Jennifer Hale previously played Killer Frost in a few DC Animated shows. 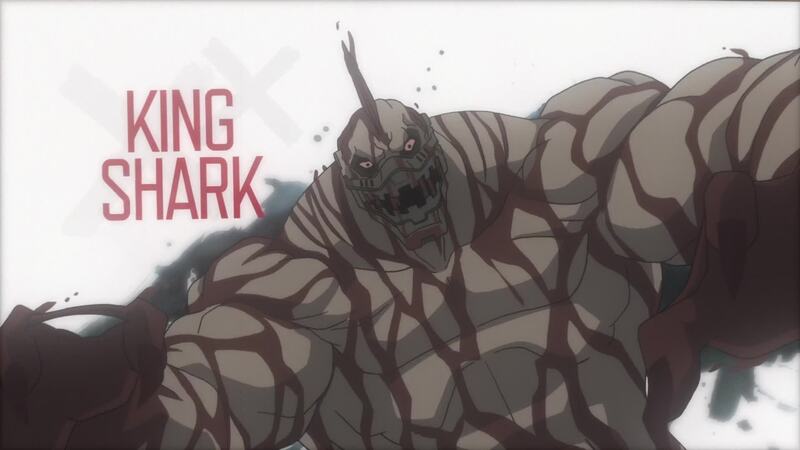 If the live-action Suicide Squad movie follows the tones and beats of this animated entry, it will be a fun flick that will serve to flesh out the DC life-action universe far better than any Superman or Batman solo/fighting flick would. 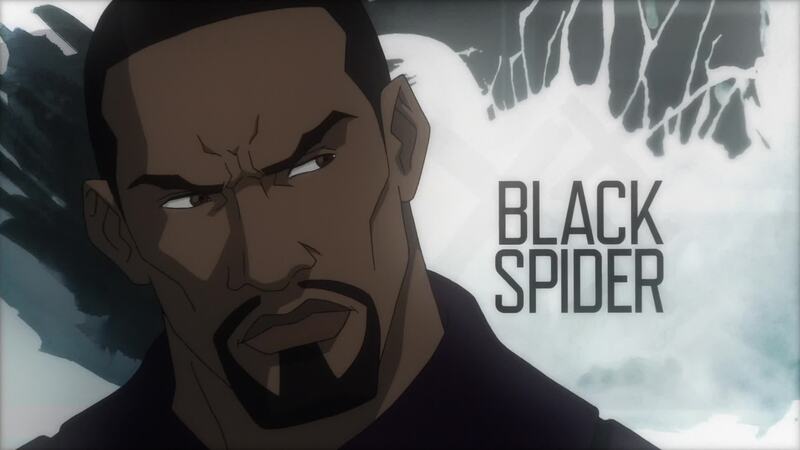 The complete shift of tone gives a shot of freedom to be different that super hero films are currently lacking. Batman: Assault on Arkham is a fun little flick that fits into Batman’s world without being too much about Batman, and the villain focus allows for telling a different kind of super powered tale. 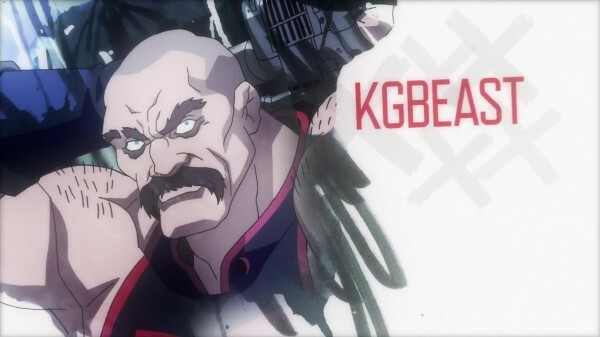 The various treacheries gives birth to multiple layers of agendas, and the freedom to eliminate characters means the more gimmicky villains won’t overstay their welcome. The villains being perfectly willing to take life means the usual dilemma of Batman not killing his foes is gone, yet the artifacts of that concept manage to creep their way into the story to its deficit. 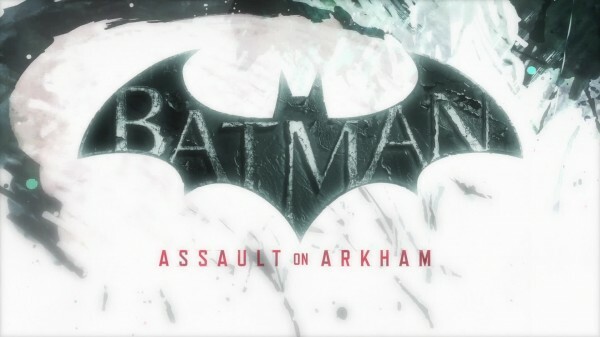 Overall, Batman: Assault on Arkham is worth a watch and will help wash out the taste of the lower quality animated films.